We're urban dwellers. We (or at least, I) ride bicycle everywhere. So that makes us urban cyclists, right? 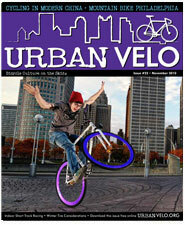 Urban Velo is a two-month publishing with everything you need to know about riding your bicycles in the city. It's available on their website for free download, just click here.